Sony's Platinum Wireless headset sounds great and offers some slick PS4-specific features, but it’s so uncomfortable, we couldn’t keep it on. The PlayStation 4 enjoys the largest install base of the current console generation — an audience which exceeds the size of almost every gaming console of the past, with few exceptions. Given that, it’s odd that Sony has, until now, only had a couple options for first-party PS4 headsets. One is the abysmal pack-in single earbud, and the other is the passable Sony Gold Headset. Sony’s latest, the Sony Platinum Wireless, has been marketed as the best choice for PS4 owners. 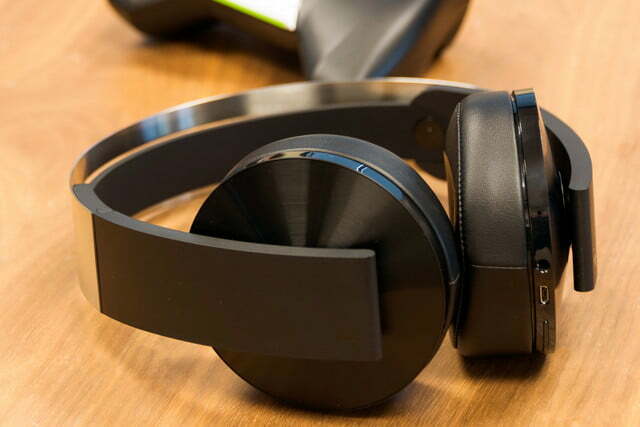 With 3D surround sound and improved audio quality, Sony’s Platinum Wireless could have supplanted the Sony Gold headset as the company’s best, but significant shortcomings have us tempering our enthusiasm. 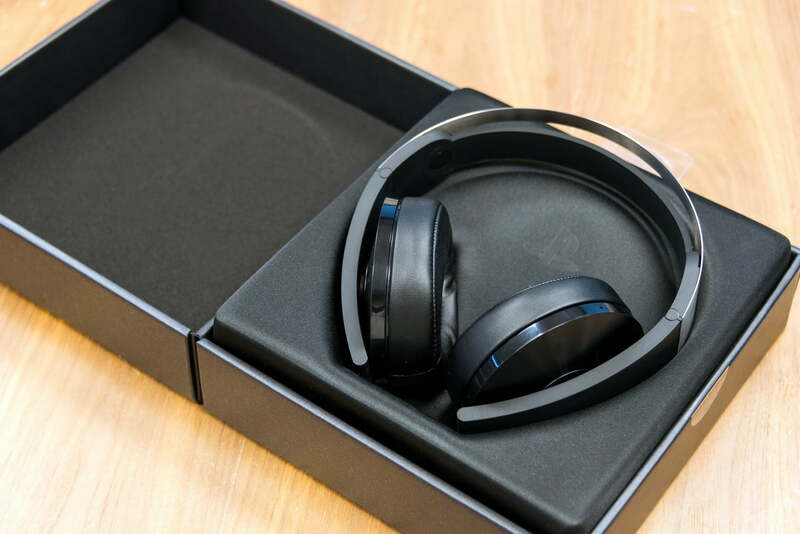 The Platinum Wireless is one of the best-packaged headsets we’ve come across. The outer cardboard case slips off revealing a thicker cardboard box that unfolds like briefcase. 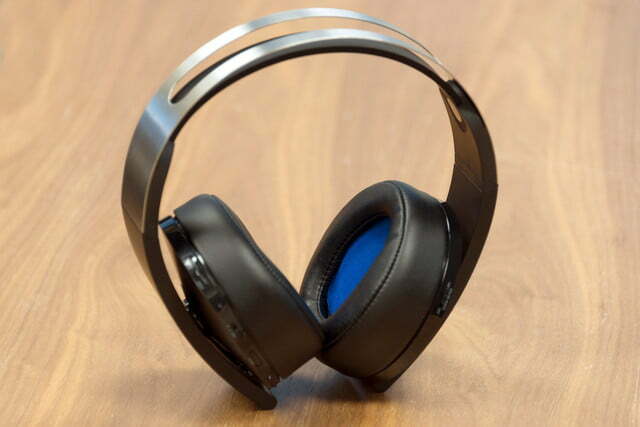 Within, the headset rests on a thick shell of polyester material. Under the fancy packaging, a small black box packs the 2-foot USB charging cable, 4-foot 3.5 mm cable, instructions and warranty literature, and a travel pouch. The package is a striking presentation that certainly gives the impression this is a premium device, as the name implies. If only the headset’s comfort level backed that up. Since it’s a Sony product, the Platinum Wireless requires only a simple USB connection to one of a PS4’s two available ports, and full functionality will be available to users. The PS4 will automatically recognize the headset, granting immediate access to a number of features unique to the Platinum Wireless, including a headset companion app on the home screen. Charging the headset is done with a USB to USB micro charging cable, just like the PS4 DualShock 4 controller. While this is simple enough, given that the PS4 only has two USB ports, it was common for us to have to juggle the cables and USB dongle when a controller or the headset needed charging. To be fair, this is an issue when using any USB peripheral with the PS4, but since this is a PS4-specific headset, it’s worth mentioning. By virtue of being a first-party Sony product, the Platinum Wireless enjoy a number of quality-of-life features and bonuses. When plugged in and in use, the headset companion app can be accessed from the PS4 dashboard, wherein you can change the balance of the high, mid, and low frequency bands and create custom EQs. Furthermore, the battery life of the headset appears next to the controller battery life indicator in the upper left corner of the screen. The console gave system notifications when the headset’s battery was getting low, much like it does when controller battery levels drop. Finally, the system also made note of whether the headset was in 3D or 7.1 modes. This is a helpful feature, but as we’ll detail later, we could tell what mode it was using without notifications. Overall, we found the simple integration and easy-to-use app advantageous over non-Sony headsets used on PS4. We noticed a deeper texture to the mix that was better than other PS4 headsets. 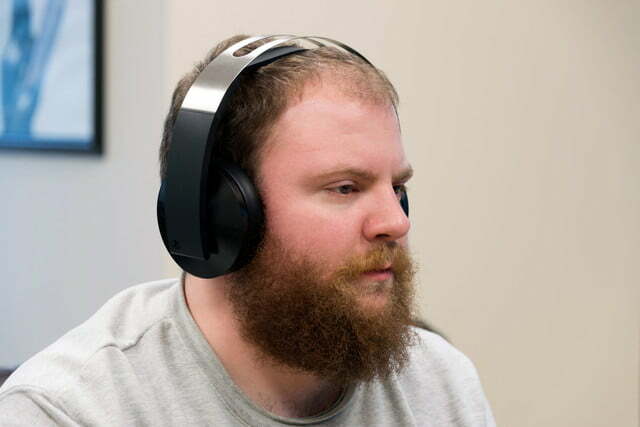 Design-wise, the headset looks great. Matte black earcups are padded with memory foam and leatherette, and dark blue fabric covers the interior of the cups. Instead of the commonplace boom-style microphone, the Platinum Wireless uses a nearly invisible pinhole mic hidden in the right ear cup. This makes for a pleasant and simple aesthetic, better suited for use outside of the home which is made easier by the included traditional headphone cable. The headband is interesting, featuring two different bands. The upper band is solid brushed metal, and the lower band, which rests on the head, is a single piece of semi-flexible hard rubber. 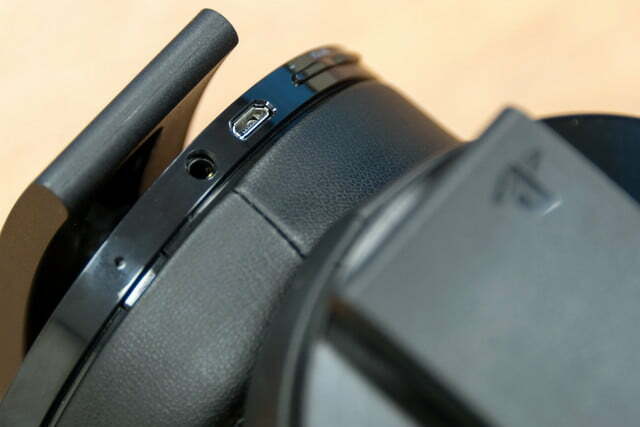 This is the most perplexing aspect of the Platinum Wireless’ design. We found the headband became uncomfortable almost immediately, and remained so for the duration of our testing. A wiser choice would have been to use the same plushy material found in the earcups. 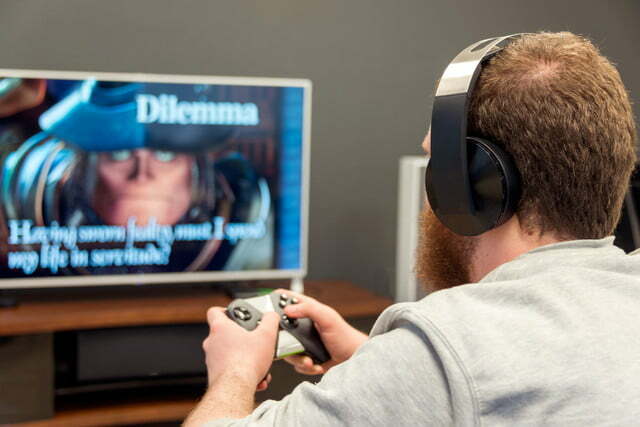 Unfortunately, the headset’s clamping pressure cancels out the viability of the earcups’ heavy padding. Our temples, jaw, and neck all took on noticeable pressure. It only took an hour to feel significantly uncomfortable, and after long periods of play, it was a relief to take the Platinum Wireless off. 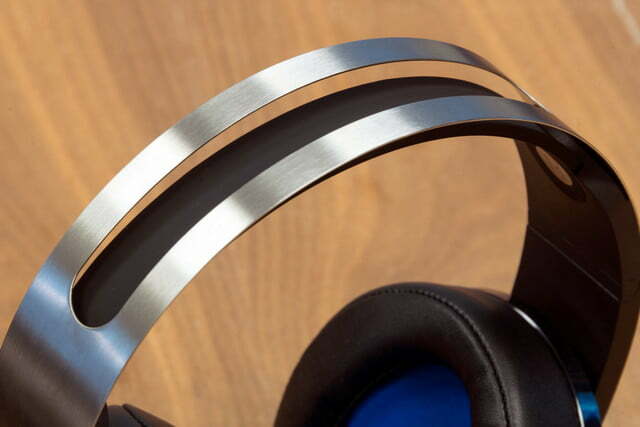 The Platinum Wireless doesn’t feel great, but it does sound good, thanks to its 50mm drivers. Out of the box, the treble was a bit overpowering, but popping over to the headset settings through the PS4 dashboard to reduce highs in the mix was simple. 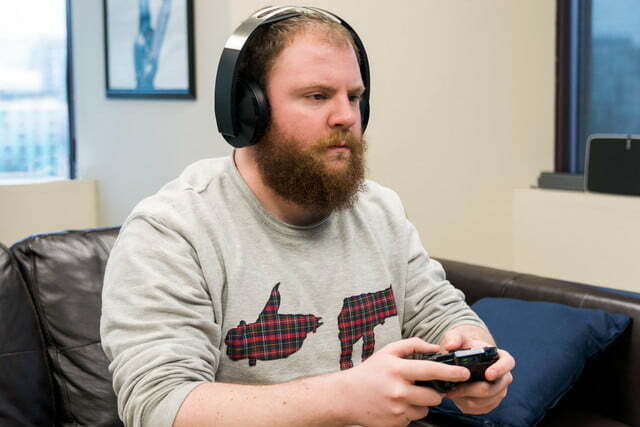 We also noticed some deep, textured bass that wasn’t as prevalent in other headsets we’ve tested with the PS4. 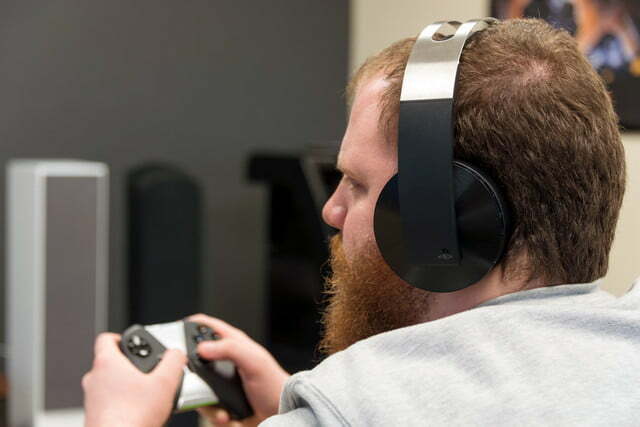 For the majority of our play tests, we played Nioh and found the Platinum Wireless’ virtual 7.1 sound was immediately beneficial to gameplay. Keeping track of multiple enemies was easier, and the coos of hiding Kodama spirits in the environment were more recognizable. Perhaps the most noticeable thing about the Platinum Wireless’ sound profile was how much more textured music became; strings and subtle ambiance were more palpable, and the low end added gravitas to ominous moments. Unfortunately, despite how nicely the Sony Platinum Wireless sounds, the feature Sony is pushing most — the 3D surround — is too limited to be a noteworthy inclusion. Uncharted 4 was the only non-VR game we had access to that was capable of using the 3D sound. What we noticed was better precision and subtlety to sound effects like footsteps, clicks from a handgun, or drips of water from a cave, but it came at a price. When 3D sound was enabled, the sound profile immediately changed. The lows were reduced, and the highs depressed a bit. Although the entire mix felt more spacious and individual sounds were able to breathe, some of the punch was lost. Despite how nice it sounds, the 3D surround is too limited to be a noteworthy inclusion. While Uncharted 4 performed well with the 3D sound, enabling it while playing on a non-3D sound-enabled game is ill advised. Going back to Nioh, we noticed again the reduction in the high and low frequency spectrum, but there was an overall muffled effect to the entire mix that, paradoxically, allowed for more subtlety, yet depreciated the overall quality. In clearer terms: using 3D sound on games not patched to support it sounds bad. And this is a shame; the entire selling point of the headset is that it brings 3D surround to consoles, but the ability to enjoy it is limited. This isn’t entirely Sony’s fault, as it’s up to the development studios to decide whether to include 3D sound in their games at launch, or to patch it in later … or at all. Still, for how much Sony’s marketing mentions the 3D sound, it’s absent in the majority of the PS4 library. At the time of writing, only Uncharted 4, MLB the Show, and Uncharted: The Lost Legacy feature 3D audio. On the mic side, the Platinum Wireless performs better than either of the Sony’s previous PS4 headsets. We’re impressed that the tiny noise-canceling pinhole mic sounds as good as it does, but at $160 it’s hard to say it’s one of the best in its price range. Now, Sony hasn’t made any hard statements on battery life, but we noticed that it took about eight hours to deplete the battery. In our experience, however, it was more likely you’d want to take the thing off before battery levels were ever a concern. The Sony Platinum are nothing special. Other than the features on the interface side of things, the restrictions placed on the 3D surround capabilities and uncomfortable design hold back the headset. Just about any headset compatible with the PS4 will give you a better fit. The quality-of-life features on the Platinum Wireless are a nice touch, and the headset sounds good, but we just couldn’t stand wearing it for long periods of time. 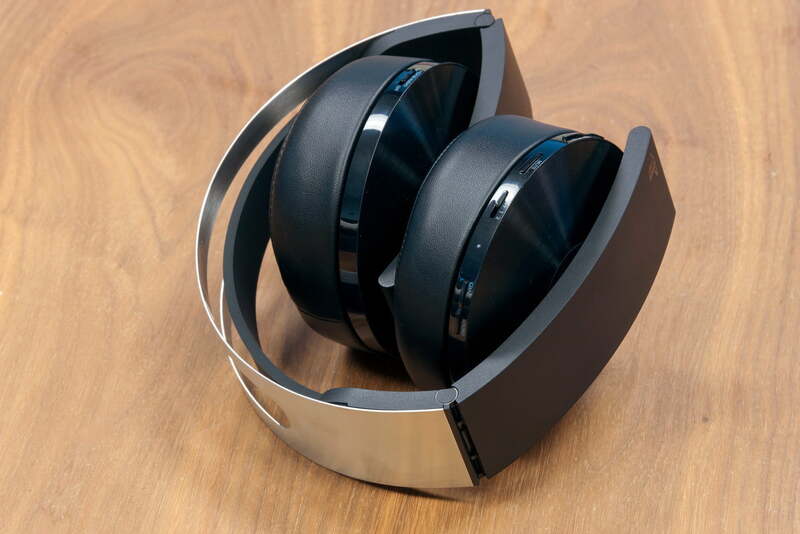 The metal design means the headset will keep its structural integrity even in the face of accidental drops or prolonged use. In short, it should last a good, long time. For the PlayStation gamer, this headset is going to mesh the most cohesively with your gaming experience on PS4. Everyone’s head shape and preferred fit are different, and therefore you may find the Sony Platinum Wireless to be to your liking. However, we should point out that there are headsets in the same price range that are more comfortable, have better mics, and strong 7.1 surround that are technically compatible with PS4 — such as the Logitech G533. 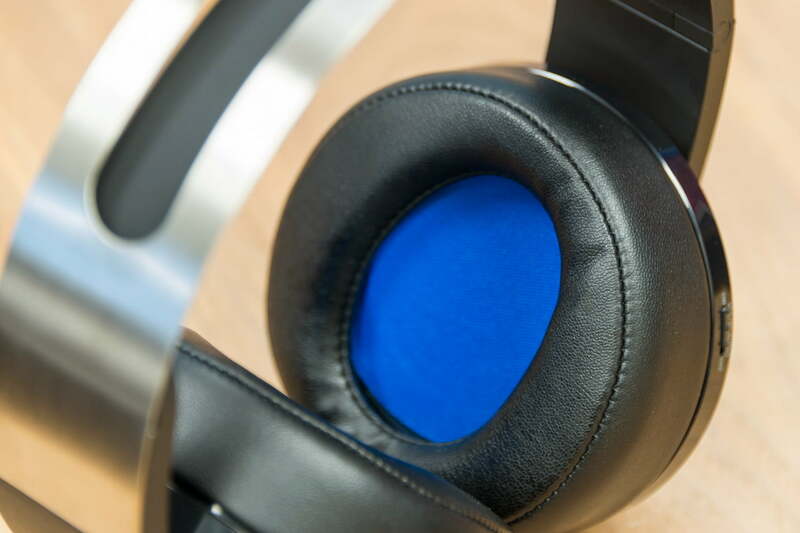 You’ll lose out on the interface and features of the Platinum Wireless, but it’s an acceptable trade for the boost in comfort and sound quality.